I have not been able to go to many garage sales in the past 30 days. I have hit one auction sale, that was ok, but not great. Well this weekend my son has a swim meet in town so I will volunteer to work it. I knew I wouldn’t have time again, so I went out for 1.5 hours on Friday morning. Most of the items were way over priced, but I did manage to find a few items. 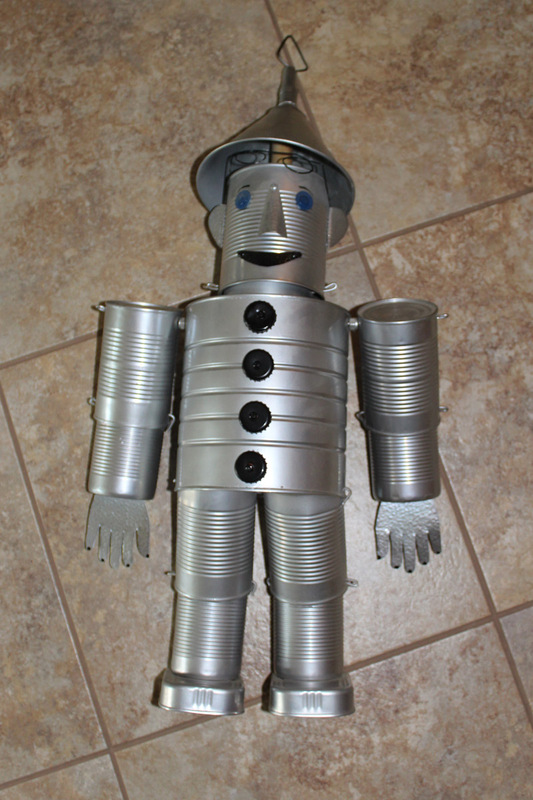 This tin man create with different size tin cans is so unique I just had to buy him. Haven’t decided if I will keep him to hang for Halloween or not. I like different, unique, but cute items. This one fit the bill. This one I need your help. 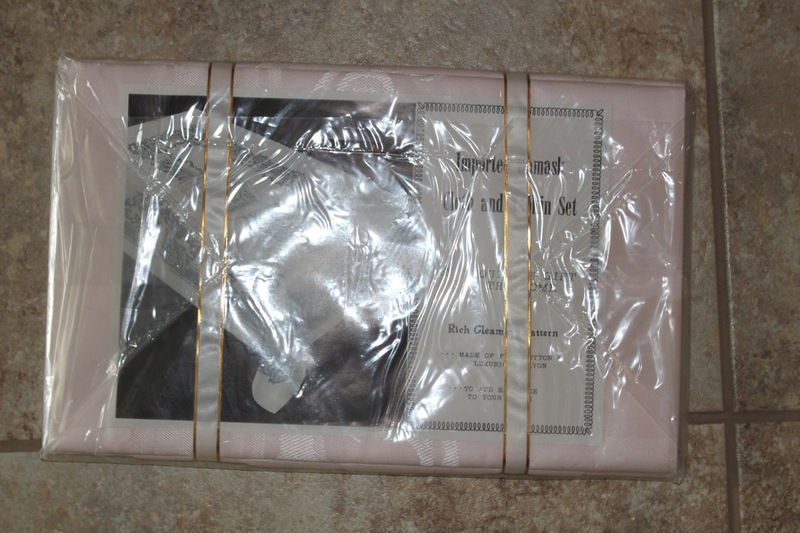 It is a Pink Damask Napkin set from Penneys. They have never been open. So would you open them to take photos to sell or leave as is and try to get some better photos? I don’t want to open them since they are new, old stock. However, I just don’t know that any one will buy them if I can not get a good photo. Any suggestions? Edited: I did list it after taking photos of it still in the package. If you want to see how I took the photos check out the listing. It has been sold. 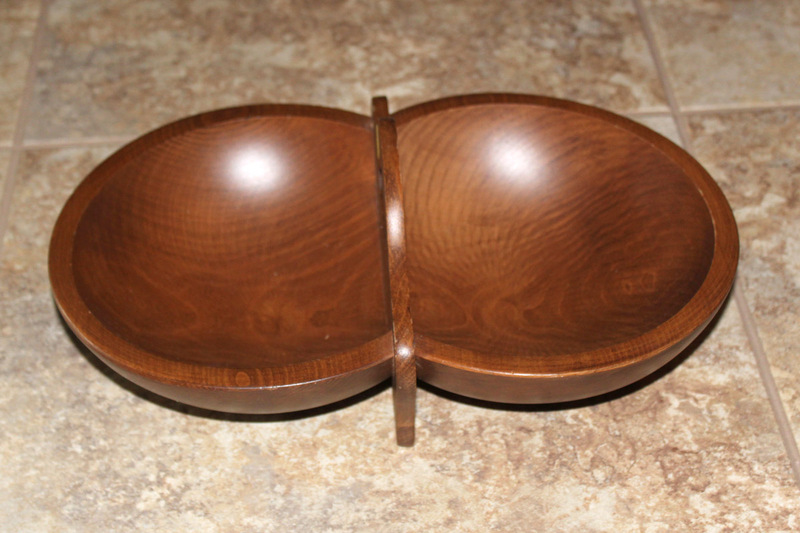 Found this divided wood bowl that I want to redo. Haven’t decided the color yet, but it will make a lovely center piece. You know me, can’t leave a hard shell suitcase behind. This one isn’t in the best condition on the outside but the inside is spotless. Finally this fan. Haven’t had an old fan for over a year. 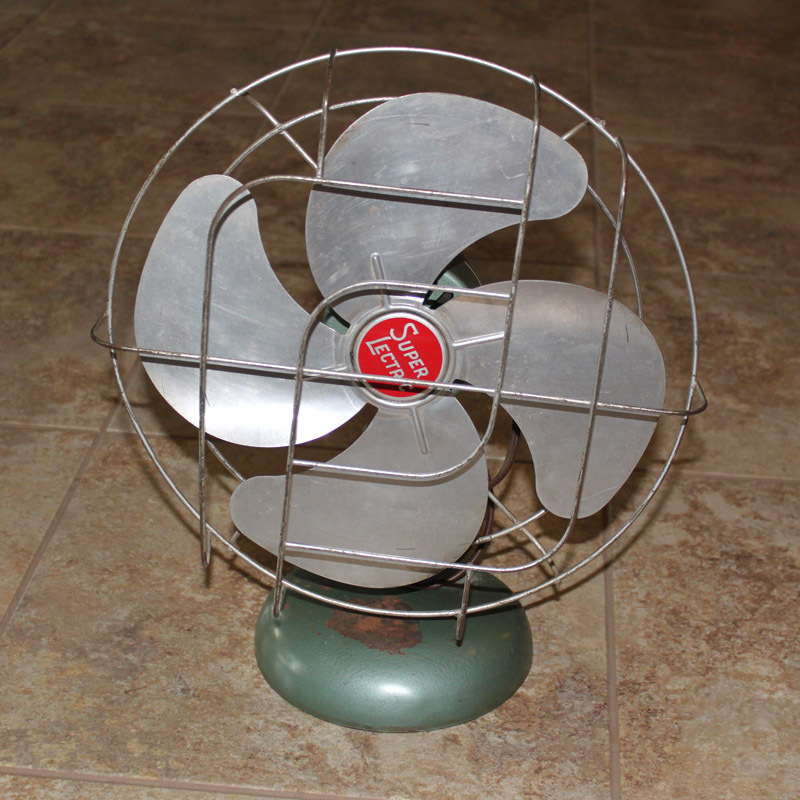 Love the look and shape of these old fans. Seems that others do too. Need to get this listed soon while it is still hot. So did you have a change to go searching for thrifty finds this weekend? This entry was posted in Junkin' Pickin' Finds and tagged fan, napkins, suitcase, tin man, wood bowl by Karen Grosz. Bookmark the permalink. How much do you list old fans like that for? I picked up one but I don’t have a clue what it’s worth. I usually pass the hard plastic suitcases and stick with the stitched ones. What do you typically get for a hard sided one? I’ve seen some people put wheels on them for storage under a kids bed! I used to sell the fans at Traveling Trunk. Only listed and sold one for $16 on Etsy, but it wasn’t in good shape. So not sure what I will list this one for. Maybe $25 ish. 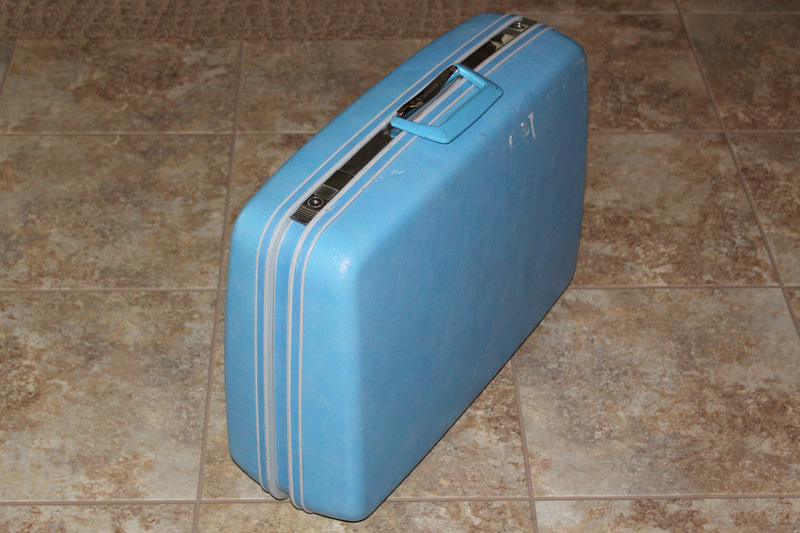 As far as suitcases, the price has been all over the place from as low as $15 to as high as $40. It all depends on color, condition and size. I usually spend time online trying to find similar in order to price my items. I have seen people put legs on them for a side table as well. Good luck.